Oh the Cucumbers! at CommonWealth Urban Farms! | Oh the Cucumbers! at CommonWealth Urban Farms! 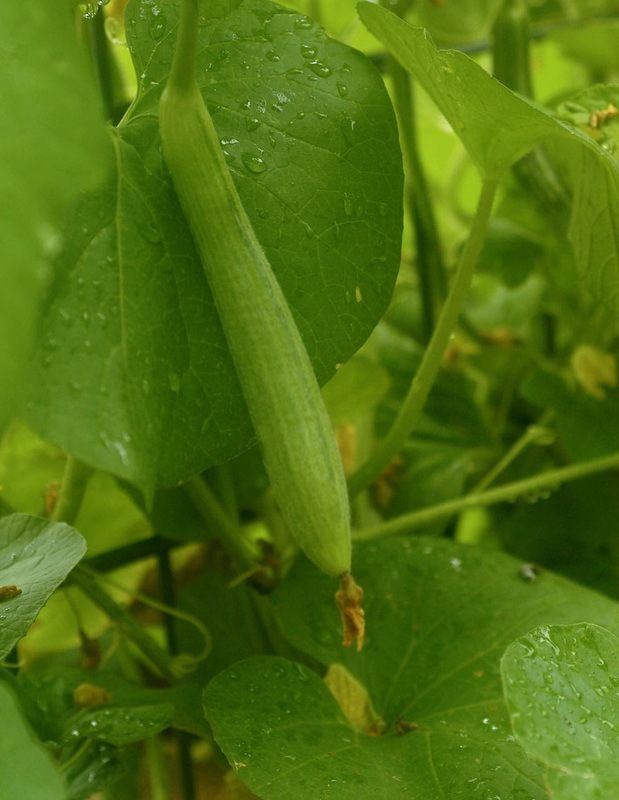 Oh the Cucumbers! at CommonWealth Urban Farms! 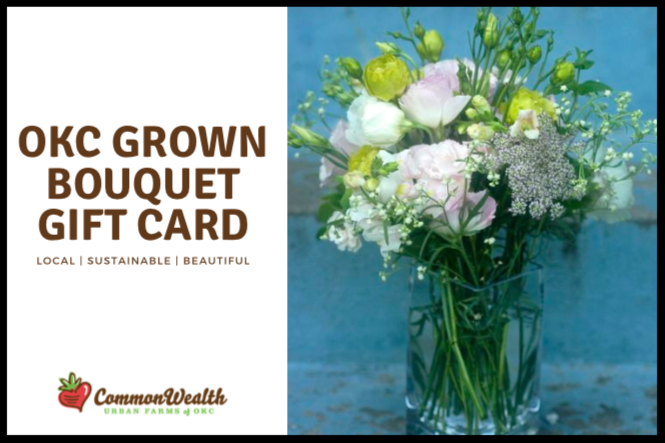 redeemable anytime during this flower season. Purchase the gift card online here. Email us to arrange pick-up ahead of time on Wednesdays or on Saturday mornings on the weeks of your choice. Pick-up of bouquets is at our farm at 3310 N. Olie. We are swimming in flowers right now (thank you, rain!) They are crazy beautiful, they make us happy and we hope they’ll make you happy, too. We thank you for your support of our neighborhood farm. Allen has been building compost piles, as well as composting with worms, for many years, and has a profound appreciation for rot! 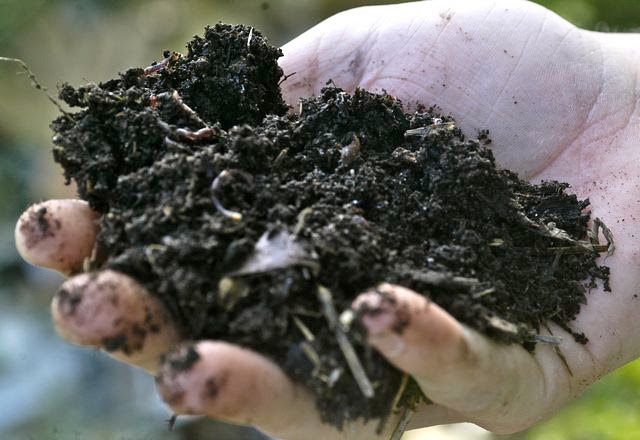 Allen will discuss the difference between a worm bed and a compost pile, and demonstrate how to build one successfully to make that beautiful, rich, black substance we call “gardener’s gold”. Instructor: Allen Parleir, coordinator of Closer To Earth and co-founder of CommonWealth$10 per class; $15 per couple/pair; free to volunteers. See full schedule and season rates HERE. 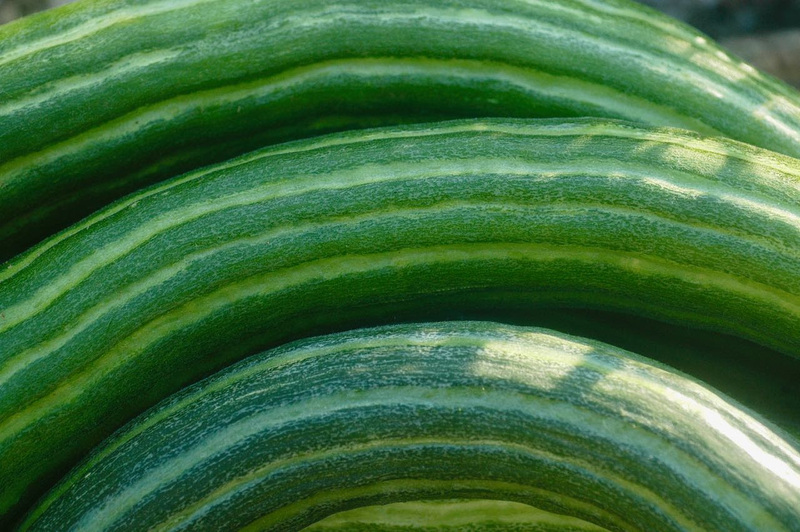 Armenian cucumbers are a favorite vegetable at our farm; nourishing, prolific, resilient, and impressively long. Here’s a peek inside the story of these delightful fruits of the vine. 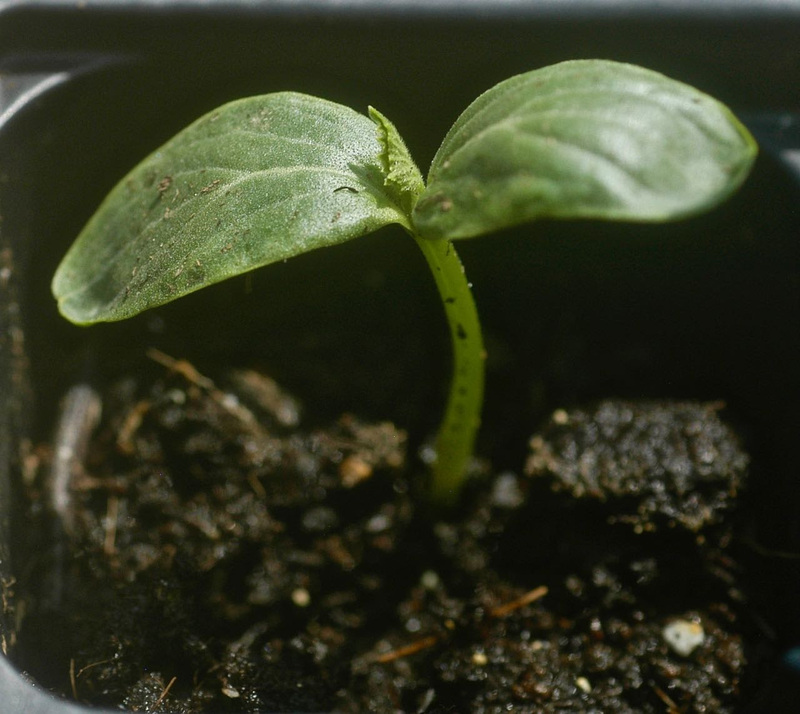 It all starts with a seed… From which, astonishingly, emerges a real live little plant. On this brand new seedling, you can see the cotyledon leaves; the first true leaf is just barely emerging between them. 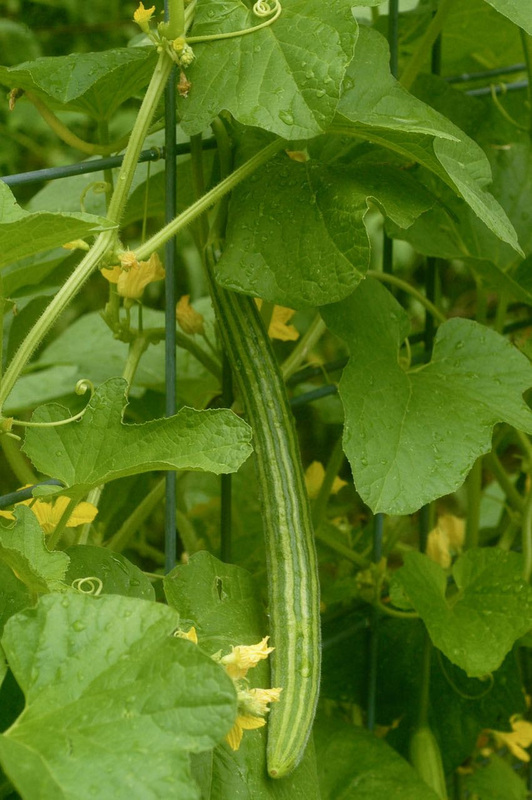 Armenian cucumbers are fast-growing vines that covered this trellis in just a matter of weeks. 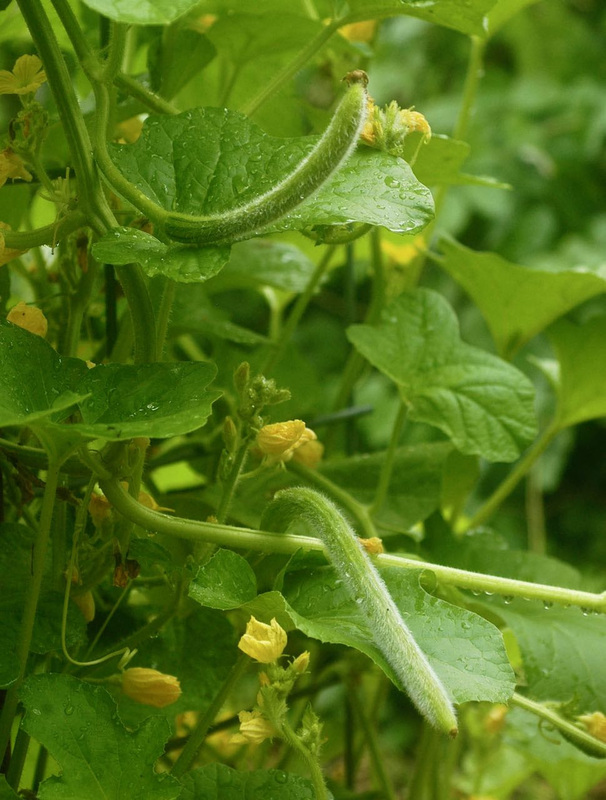 The delicate appearance of cucumber tendrils belies their strength and tenacity in holding the vines to a trellis or support. 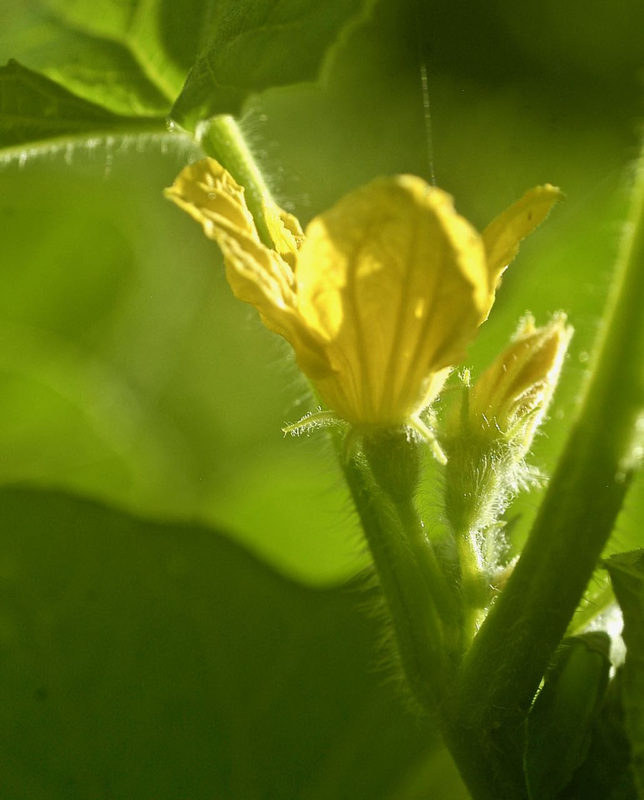 Male cucumber flowers have skinny, straight stems. 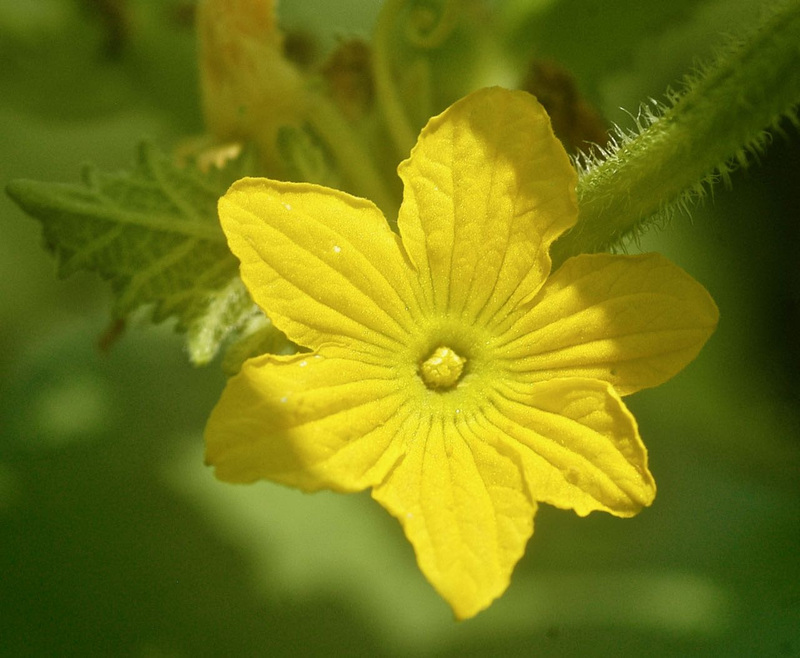 Female cucumber flowers have a mini-fruit (ovary) under their flowers. 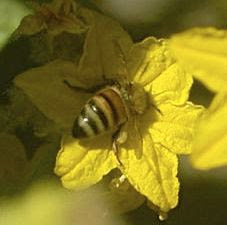 Pollen from male flowers has to be carried to female flowers for pollination and successful fruiting to occur. 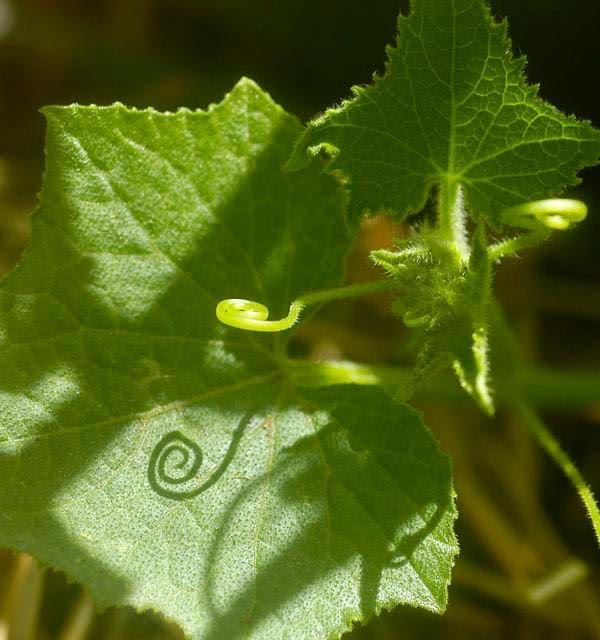 Immature Armenian cucumber, with dried flower still attached to the end. The harvest! 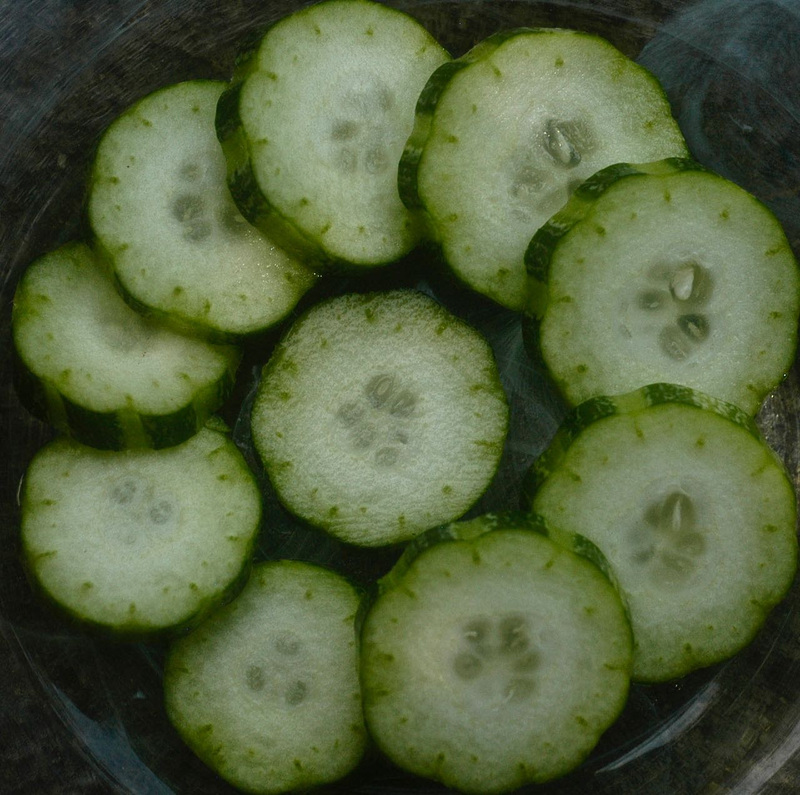 The striped ridges on Armenian cucumbers give the slices a decorative edge. Bon appetit! 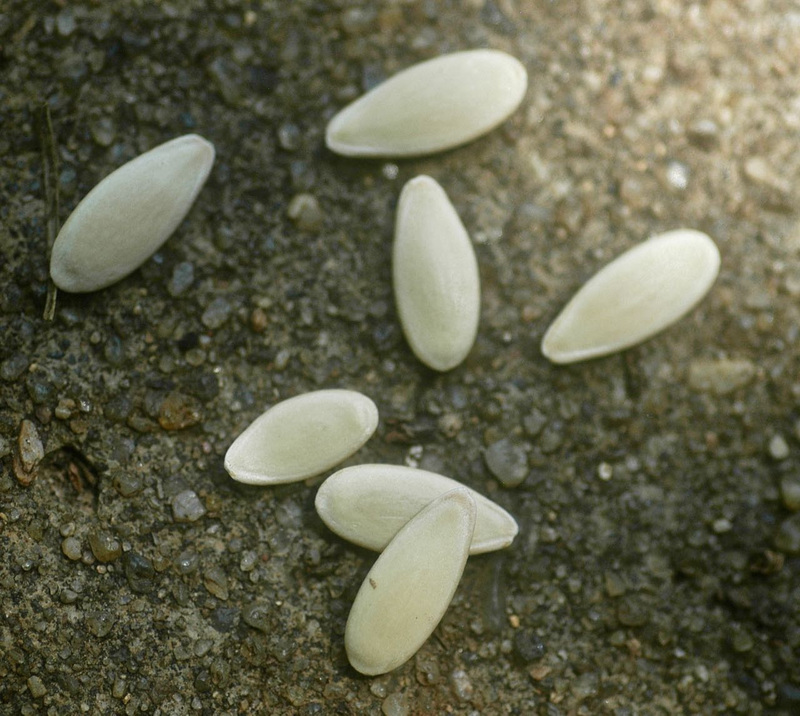 As a child in England, when Emma Yeung ate something with a seed in it, she would go outside to the yard where her mother designated, dig a hole and plant the seed. Checking each day, she dreamed of apple trees and orange trees, but she never grew an apple or orange tree. In college, she studied international business, including a stint in China, where she met her husband, an Oklahoman also studying there. Together, they came to Oklahoma on vacation—and decided to stay. They’ve been here 7 years, raising their 7-year-old daughter and two sons, ages 4 and 2. As it turned out, Emma has been working in early childhood development rather than international business. She runs a Waldorf School here. And that’s how her childhood dreams are coming true. Children in Waldorf schools spend three hours a day outside each school day. 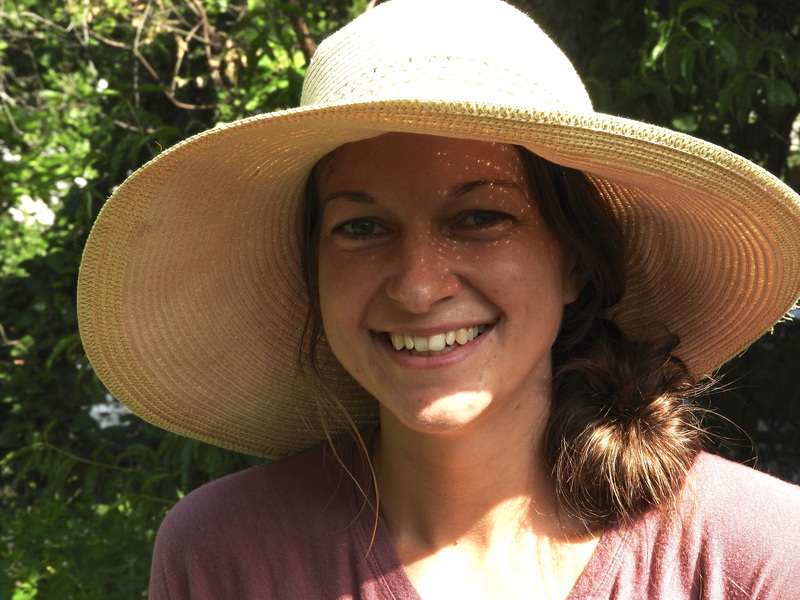 With the children in her school, Emma is once again planting and growing seeds in her backyard. And this time, there’s food! Growing up in England and then moving to the US, she was struck by the huge part junk food plays in the US diet. Food is more regulated in England, she says, where health care is also different—free. Knowing how what we eat affects our health, she says she wanted her children to eat healthily. So she wanted to grow food. Friends drop by the CommonWealth Urban Farm community off and on for a few moments of quiet and to breath in nature. 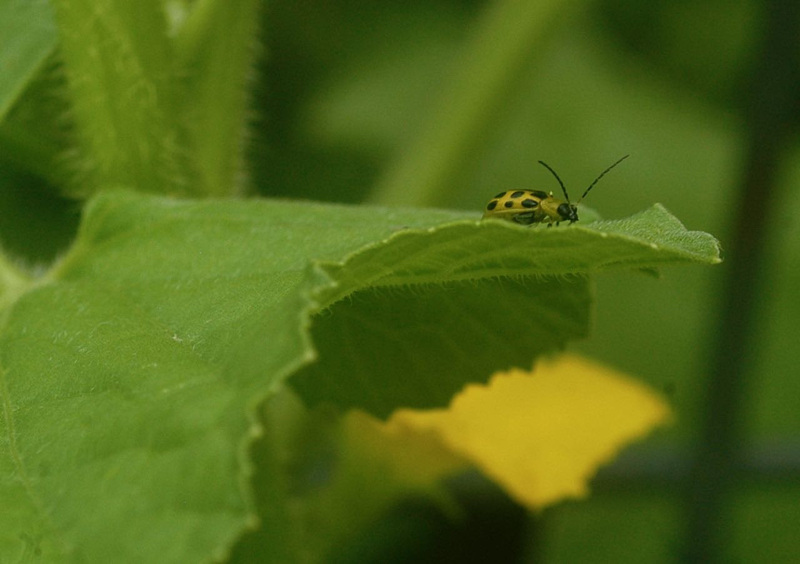 Volunteers tell us how lovely it is to enjoy nature as they work on the farm. They tell us we should celebrate the beauty of this place. And so, we are. Last Saturday, Debbie, Barb and I were tending the vegetables at the Veggie Club table when we heard a searing whistle, up high. We looked up to see a Kite sitting in the sun atop a power line pole. Barb called out excitedly so everyone around could notice it. Then we heard the whistle again and realized it wasn’t coming from atop the pole; rather, somewhere a little ways away. We watched the Kite preen a bit, listened to the distinctive whistle and it wasn’t long before the Kite flew off in the direction of the sound made by another Kite. 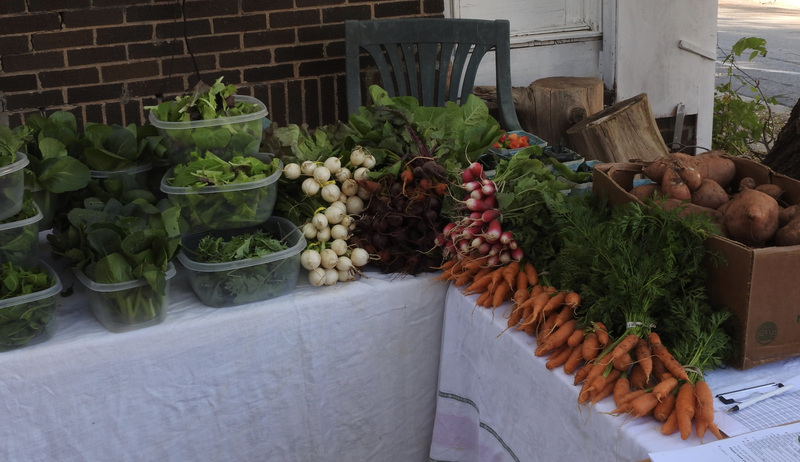 ← Ah…Summer at CommonWealth Urban Farms!